Yeah! 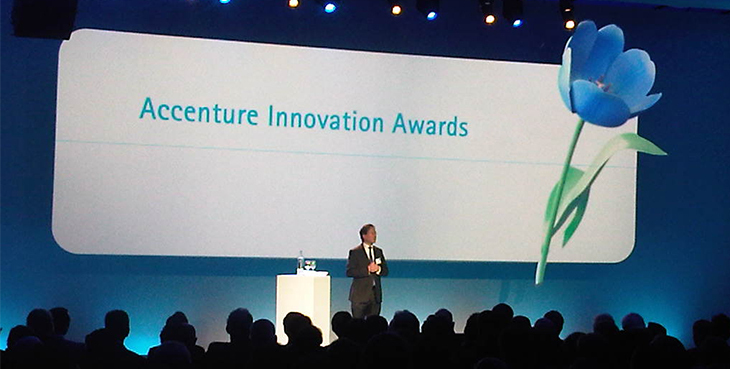 We zijn finalist bij de Accenture Innovation Awards! Nadat we verschillende voorselecties hebben overleefd was het gisteravond zo ver: de centrale jurybijeenkomst. Hier kreeg ik (Jaap), net als ruim 100 andere ondernemers, mijn “one minute of fame” voor een jury bestaande uit ondernemers, managers en experts. En één minuut is echt bizar kort, meer dan het probleem dat wij met de Golden Egg Check willen oplossen en natuurlijk de oplossing die we daarvoor hebben, kun je eigenlijk niet benoemen. Maar volgens mij hadden we van te voren een leuke variant uitgedacht en pakte dit goed uit. Elke jury kent natuurlijk ook de ondernemers die pitchen over supersonische technologie en daarvoor miljardenmarkten en miljoenen aan waardecreatie voorspellen. En juist daar is de Golden Egg Check op gericht. Om ondernemers een kritische spiegel voor te houden, een spiegel zoals je die door investeerders voorgeschoteld zou krijgen. 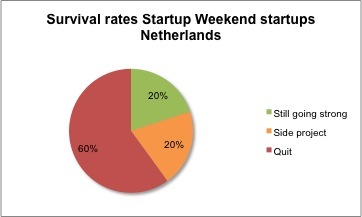 Acceleration before Incubation, the Dutch Incubation Model? Since the last post I’ve sat down and interviewed three incubation managers of some major incubators in the Netherlands. Some interesting information came up, as we discussed their current programmes, how these programmes were designed and how they seek for improvement. What do they offer to their incubatees? In my search for the most value creating support activities of BI’s, I am looking for what are called ‘third-generation BI’s‘. Which offer not only cheaper office space, but also business support services and actively push and link incubatees to participate in networks. The levels of intensity with which these services and networks are offered to the incubated start-ups, differ per BI. Two of the interviewed BI’s offer start-up acceleration programmes (early stage acceleration). Both programmes start with a weeklong intensive bootcamp and have a total duration of 100 days. The start-ups receive intensive coaching, mentoring, pitches, workshops and trainings. Goals of the programme are contacting 100 players in their market in the 100 days of the programme, develop a product-market fit and find a launching customer. The entire programme resembles the hypothesis driven entrepreneurship approach. If the start-ups finish the programme successfully, they rewarded a spot in the incubator. Start-ups that don’t follow the accelerator programme are also eligible for a spot in the incubator, if they fit certain criteria and are admitted by the selection committee. Once the start-ups have earned a spot in the incubator, the coaching and mentoring is less intensive that the accelerator programmes, but the start-ups still receive support. Coaching is largely available upon request, as topics tend to be more specific than they were in the earlier ‘general’ start-up process during the accelerator programme. The networks have a more important role, both in the BI and with the outside world, as the need for funding and collaboration rises. Both BI’s offer marketing and PR-related services to their start-ups as they have developed to a stage in which sales are becoming more and more important. The start-ups are reviewed every year to see if they are still on track to excel in their own field and focus on their own unique product (focus sometimes weakens as start-ups offer consultancy in their own field of expertise to generate some cash flow). The BI without the accelerator programme has another structure. At its core are office complexes at the university and on the science parks. Once in these offices, start-ups can opt in for fund programmes, which come with funding (up to €200.000) and additional business support and financial support services. Further supporting services are available upon request. How were these programmes designed? The classic image of a BI offering space, services and networks is disappearing in the Netherlands. The newer and more glamorous Business Accelerator (BA) has caught the attention of the Dutch BI’s. Two of the interviewed incubators actively study the latest developments in the Silicon Valley area, visiting once every year to learn the best practices to improve the content of the service portfolio. 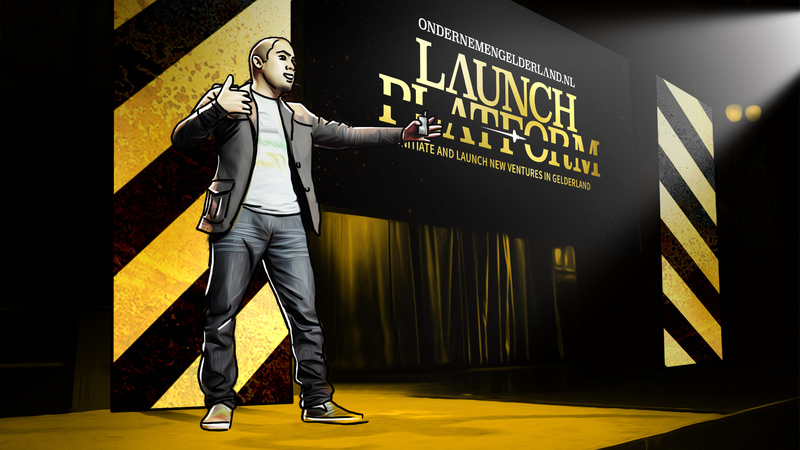 The Y-Combinator, Lean Launchpad and other formats are frequently referred to. This has led to the development of accelerator programmes for the start-ups. Both programmes work with the Business Model Canvas of Alex Osterwalder, focus on customer development, with use of the customer validation techniques of Steve Blank, and one makes use of an agile development philosophy for the software products. The programme enables the incubators to cater to needs of start-ups with not much more than an idea and a team. 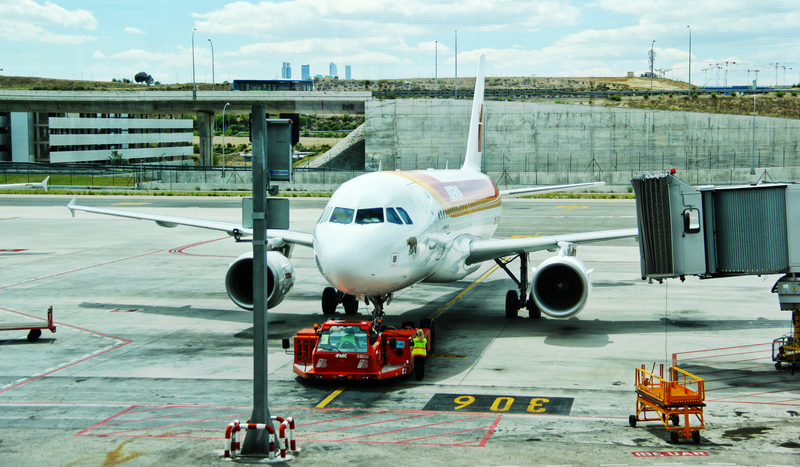 The other keeps makes its policies based on guidelines from the European Union and the branch organisations (such as the EBN and the NBIA). Closely following best practices originating from these organisations or even from scientific literature. How are these programmes improved? Two of the interviewed BI’s review their programmes after every event that has been held, after every workshop that start-ups attended to keep the programme up to date. The incubator management tries to identify missing pieces in the programme and if the missing information is very specific, selected coaches or experts are provided to the start-ups. Next to the needs of the start-ups and their own experiences, other sources of inspiration to improve the programme come from Climate-KIC, other BI’s, visits to Silicon Valley or Israel and professional literature. The other BI updates its service portfolio as the guidelines change, or other best practices are identified. A focus on a more pro-active coaching role, increased knowledge sharing with corporates and a stronger ‘selection at the gate’ is what the incubator management will be looking for in the coming years. Acceleration before incubation, no longer are the acceleration programmes used to guide start-ups from adolescence into adulthood. Yet, they are used to bring the start-ups up to speed prior to entering the incubator. This early-stage acceleration followed by incubation, or ‘the Dutch Incubation Model’, has its advantages over the traditional incubation model, as a more performance-orientated atmosphere comes to life. Two of the three interviewed BI’s use the Dutch Incubation Model to cater to the needs of the start-ups. The third seems to be moving in the same direction as it’s programme will be shifting towards the approach used by the others. BI’s have a lot of knowledge in their organizations when it comes to business development. Extending their services to serve younger start-ups has proven to be a valuable step for the incubators, as start-ups are spotted earlier and more likely to apply for a place in the incubator after good experiences. We see there’s a lot going on in the social innovation segment. The entrepreneurs involved aim to improve the world and achieve sustainable impact. Well, that’s great. Unfortunately, we see that many of these social entrepreneurs lack the business vision needed to succeed. We know that the word ‘profit’ may have a bad taste, but a sustainable initiative isn’t just about people and planet. We feel that sustainable initiatives have the good intentions, but lack the sustainable business perspective. This is a shame, because social entrepreneurs may be able to create a more sustainable planet by applying a more business approach. Social entrepreneurs see the world as their customer, with the world having problems that they can solve. This is wrong. The world has problems, yes, but the world won’t pay you a dime. And without any money, it is very hard to make an impact. Therefore we suggest looking at your actual customers and understanding their problems better. If you can solve their problems, you might be able to make some money so that you can leverage you sustainable impact. We very much believe in this ‘doing good by doing well’. For example, if people are willing to pay a premium for fair clothing (that is, no child labor, good working conditions and a fair salary), and you can make a (small) profit or at least break-even by selling fair clothing, then you can help people in Bangladesh, India, China etc. by solving the problems of your customers. And you can do this for the long run, creating a sustainable, sustainable business. We believe in sustainable businesses, and we believe in the ‘doing good by doing well’ approach. Therefore we offer sustainable initiatives our help at the ‘Sustainability Day’ (Dag van de Duurzaamheid) at 10 October 2013. Together with five other Utrecht entrepreneurs we can give you advice on (among others) e-commerce, design, business models and accounting. Join or look for more info at dvdd.vondelparc.nl (in Dutch). Any questions? Please do let us know.